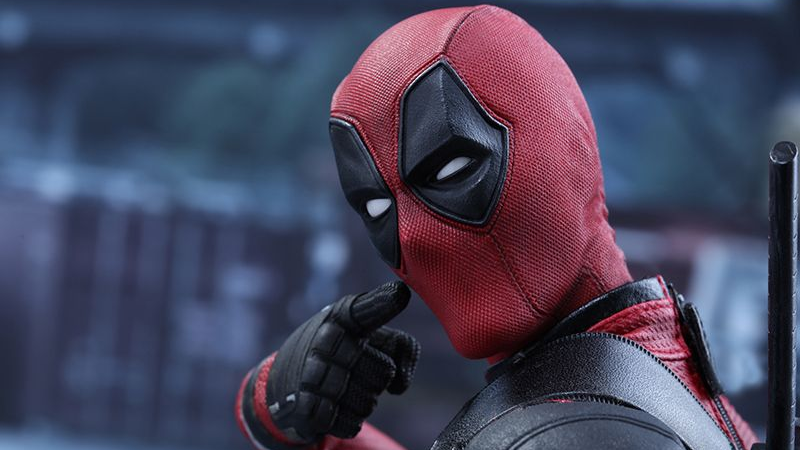 Deadpool is a lot of things, but the one thing he’s absolutely known for is his almost-ceaseless silliness as he slices his way through his foes and the fourth wall in equal measure. So it makes sense that when Hot Toys turn the character into a figure for his new movie, it has some pretty good ways to highlight that goofiness. Based on the character’s appearance in next month’s Deadpool movie, the 12” figure is a pretty great recreation of what is already a fantastically faithful movie rendition of Deadpool’s comic book look. And in terms of actual accessories, he’s rather sparse—just Deadpool’s trademark pistols and his dual katanas are included, as are the necessary bonus hands to hold said pistols and katanas. But where this figure really shines is the extra set of customizable addons. As well as the pairs of hands to grip his weapons and pose neutrally, Deadpool also comes with an additional set of six hands, doing everything from thumbs ups to okay signs. They’re a small addition, but add a ton of personality to the figure—and after all, an abundance of personality is sort of Deadpool’s thing, so it works a lot for this particular figure. It gets even better though, as Deadpool’s head actually features removeable eye panels, too. So instead of just being stuck with a default, emotionless head like most figures, Hot Toys’ Deadpool can actually pull off a lot of emotion, especially when you start mixing and matching the different sets of eye plates. It’s a small thing again, but it would’ve been just as easy for Hot Toys to give Deadpool a single default head and leave it at that. These go a long way in actually capturing what makes the character so irreverent and enjoyable, and you can pull off some pretty great poses because of them. Oh Deadpool, you precocious scamp. Hot Toys’ Deadpool will be available later this year, and while he isn’t available for preorder in the US just yet, he’ll turn up on Sideshow Collectibles soon—expect the usual Hot Toys price tag of around $200-$250.